Professor Johan W de Fijter was trained in Internal Medicine and Nephrology at Leiden University. His PhD thesis was focused on “The Mucosal immune response in primary IgA nephropathy”. 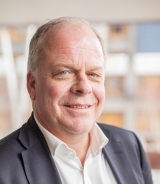 He is currently Professor of Medicine and Nephrology, Chair of the Leiden Region Internal Medicine Residency Program and Director of the Kidney and the Pancreas Transplant Program at Leiden University Medical Center. Hans de Fijter served as President of the Netherlands Transplantation Society, Chairman of the Eurotransplant Kidney Advisory Committee, the Expert Section on Kidney Transplantation of the European Society of Organ Transplantation and several committees of the Ministry of Health in the Netherlands. He has published over 250 peer-reviewed articles, authored more than 30 review manuscripts and written several book chapters. Prof. de Fijter’s research interests include clinical immunosuppression (e.g., [subclinical] acute rejection, chronic renal allograft dysfunction (chronic rejection, drug-related toxicity), malignancy and cellular immunotherapy, with an emphasis on advanced therapeutic drug monitoring and the discovery of novel biomarkers at the tissue, cellular and molecular level (histology, histochemistry, molecular biology and metabolomics).